Apparently new label Counter was started by those busy folks behind Ninja Tune for the soul purpose of releasing Levi's music... and listening to 'Blue Honey' I can hear why they might have thought it wouldn't have slipped too well into the Ninja catalogue, but that's no bad thing. 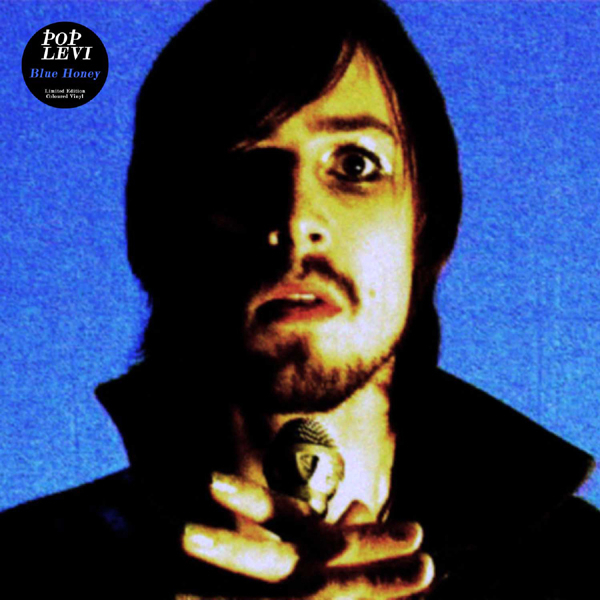 The man's definitely got skills - his vocals remind me of classic rock, I mean Marc Bolan, Hendrix (okay so Hendrix wasn't best known for his voice but bear with me) and at times Velvets era Lou Reed, and the instrumentation perfectly mirrors this era. I suppose you could level against the record that it's 'knowingly' retro rock, but I don't really see anything wrong with that, not when it's done so well. Jamie Lidell got away with making a Motown soul record last year with 'Multiply' so now it's time for Ninja Tune to don their leathers and act their age. Apparently Pop Levi is a force to be reckoned with when he performs live... and from the evidence on 'Blue Honey' I'm not surprised in the slightest. Bring on the album!